Extremely spacious rooms that can be booked within reasonable prices is the principal unique selling point of the Raghav Palace. The rooms have a monochromatic tone and the cushions provided a burst of color in each room. 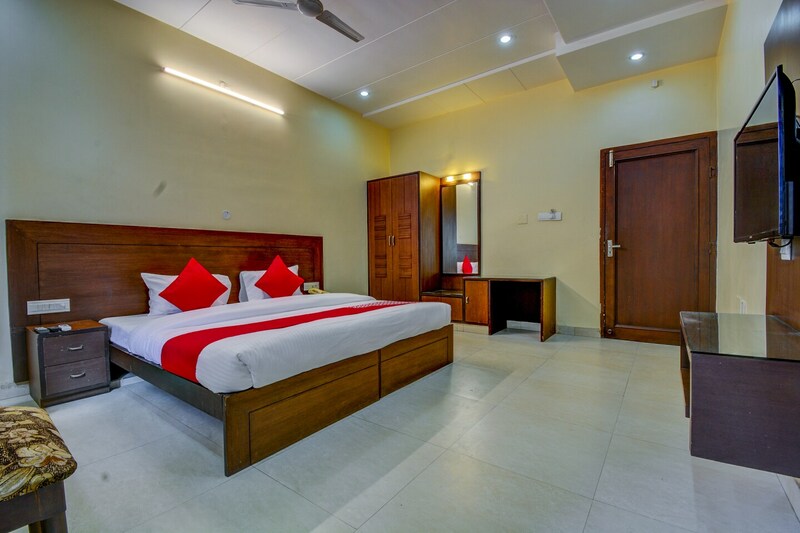 The rooms are well-furnished and wise use of artificial lights throughout the room are well-lit. The additional facilities provided by the hotel are free Wi-Fi, power backup source, parking provisions, and laundry provisions. The front desk service is also decorated very elegantly and is managed by a group of dedicated and skilled staff. They help the guests to gain hassle-free access to the booked rooms. The complete property is very spacious and is maintained by a group of hardworking staff.